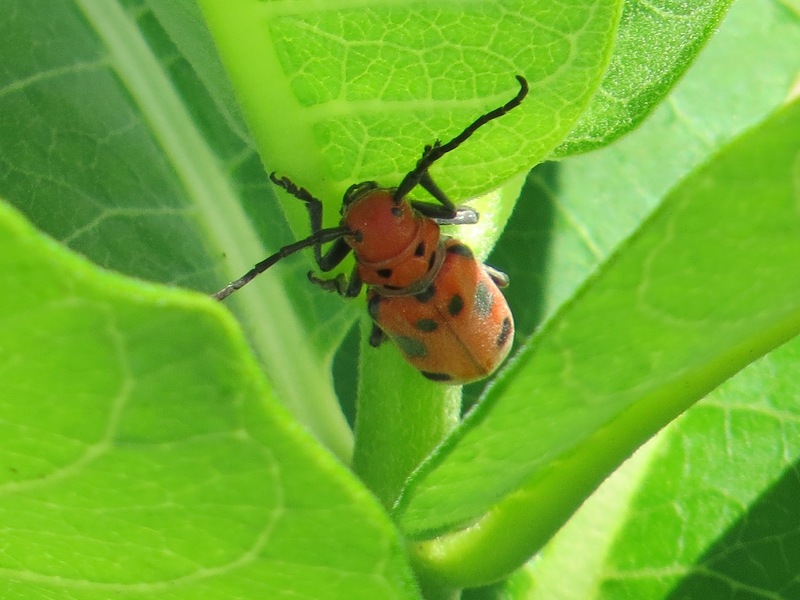 Red Milkweed Beetles, not to be confused with the milkweed bugs (Oncopeltus), don’t seem to be bothered by the toxic sap of milkweeds (Asclepius). In fact, like the more famous Monarch butterfly, their bold coloring serves as a warning they they taste like… yeech!… milkweed. (Here’s more on this fascinating topic.) As you might guess from the Texas-style horns, these are in the Cerambycidae family of long-horned beetles, the “horns” here being antennae. 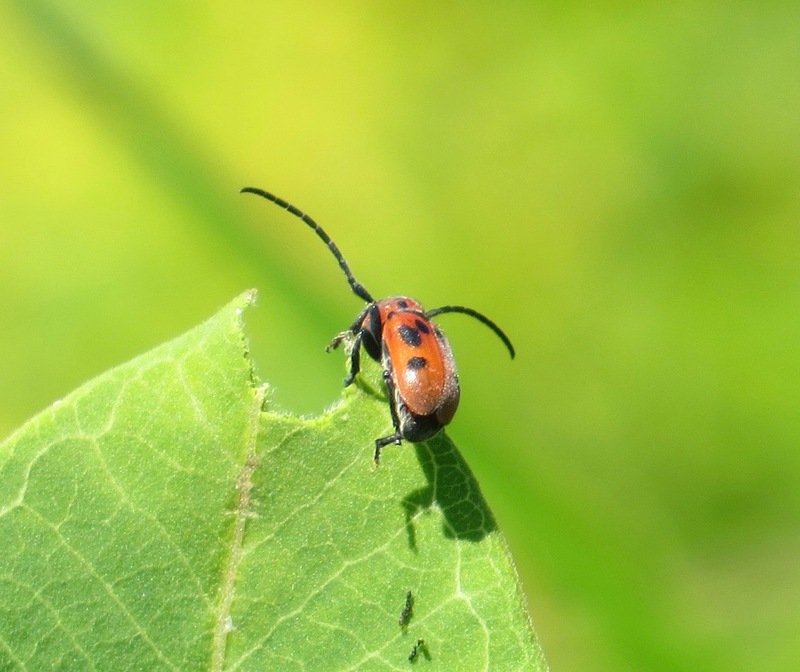 This species is associated with A. syriaca in particular; they lay their eggs on the lower stems or underground at the root crown; the larvae eat the roots.